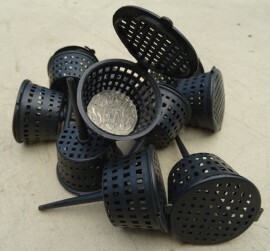 These small baskets will hold granulated or pelletised fertiliser. Fill basket, spike into soil/media, hang on mount. Plant fertilised during watering. Basket diameter of approx. 50¢ piece.